Sian is without doubt one of the most kind-hearted, generous people I have ever had the good fortune to get to know. Before I write each of these little introductions to my interviews, I jot down a few key things I want to say about the person. For Sian, I have triple underlined the world lovely. However her day is going she is endlessly considerate, thoughtful and supportive. I feel incredibly lucky to call her my friend. 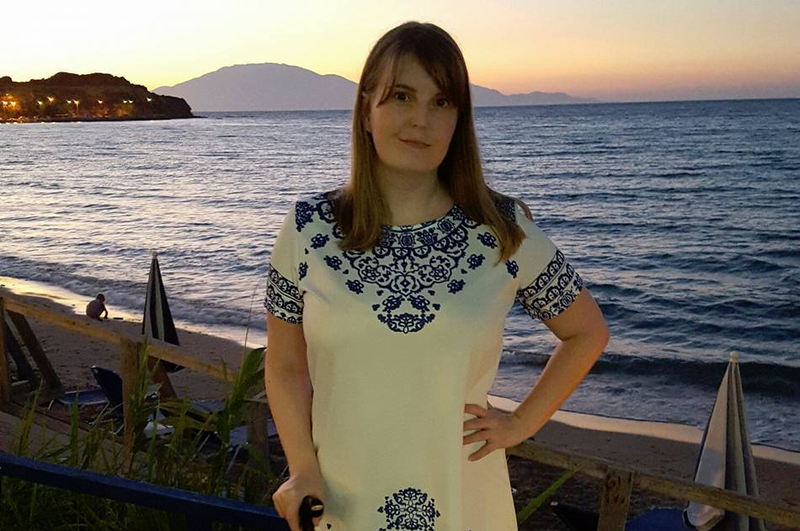 Sian works tirelessly to support people with health difficulties, both through her blog and as Queen of Team Princess, an ME fund- and awareness-raising group. For all of the above, Sian inspires me daily and I am excited to share her answers to my interview questions. Looking back and also thinking about my current situation I think I am most proud of something that no degree or accolade could have given me. And that is my perseverance and the ability to get myself through each day and not break down. Yes I feel sorry for myself every now and again and life as a chronically ill disabled person throws all kinds of challenges at you. However I can honestly say that each day I will have something to smile about or be grateful for. As well as handle it all with sense of humour. About 6 years ago I lost my will to live, suffered major anxiety and self harmed. It was terrifying. Through it all I was just so scared of my thoughts and actions because I didn't want to feel/be like that. I'm lucky in a way to have had that fear because it made me get help straight away and to continue going to get help each time things were at their worst. And I'm lucky because I got better. At the time of my ME diagnosis and where all my former achievements were pulled out from under me, I thought all those feelings would come flooding back. I'm lucky they never have. Even when pain has been unbearable, plans have been cancelled or when I need to be spoonfed. I'm so proud I got through that time of my life and how I am coping so well mentally and emotionally with being chronically ill. I'm not ashamed to say that I give myself a pat on the back every now and then or more like treat myself to some internet shopping. I can honestly say I am happy, which truly baffles many. My circumstances could of course be better but I'm doing okay. I have never been swayed by celebrity or fame. Most seem desperately unhappy. But what I have always been drawn to is people that just exude so much love for what they do or the life they're leading. People that have gone after their goals and getting to live them, but they still can't quite grasp just how lucky they are. No matter what it is. People that in a way make their own happiness. Now, of course I have to include the wonderful people in the chronic illness community that I've got to know through blogging and social media. People with so many struggles yet they're determined to not to let their illness define who they are. They've been dealt a bad hand yet they are somehow making the most of what they can. How we can all manage a smile each day just shows strength of character. They know the reality but have so much hope. When you then add that most will dedicate part of their day to check in with you, offer support and cheer at every step forward you make, knowing just what it cost you, you know you have something special. Whilst many of them might not think they're very inspiring stuck in their beds, I'd definitely refute that. When chronic illness feels like a bit of a cloud, what’s your silver lining? One of my favourite quotes is 'every day might not be good but there is something good in every day.' And it's so true. Sometimes, on the worst of days, you have to search hard for it and feel like it's such an insignificant thing, like your pain level was a 9 not a 10, or you drank a cup of tea from your favourite mug. I guess just trying in itself is a very shiny silver lining. Having that resilience to keep looking even through heavy cloud. Having a great family that care for me in every sense of the word has certainly been a blessing. Then of course there's the spoonie community and friends as mentioned above. One whiff of struggle and a lovely message full of support and kindness is pinging your way. You are a lot stronger than you think. And somehow you will find a way to cope even though you think that will be impossible. That doesn't mean you are giving up or giving in. Of course it will be very hard at times and you will grieve. The best thing you can do is not torment yourself thinking about how your life is meant to be or compare yourself too much to others. Focus on doing the best you can for yourself in each moment. Sometimes that means doing nothing and resting, it's important and healing. It's not lazy or obstinate and it's certainly not what you want but it's what you need in that moment.